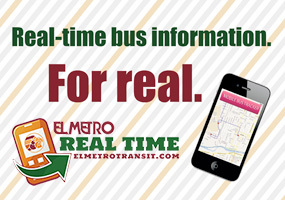 Board the bus through the front door with your exact fare. Bus Operators do not carry change. 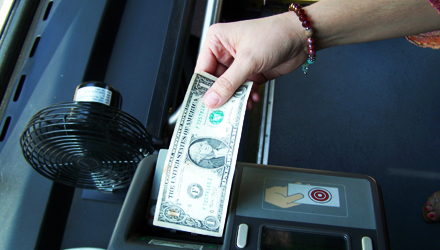 Fareboxes accept $1 Bills and U.S. coins only. Coins: 1¢, 5¢, 10¢, 25¢, 50¢ and $1 coins. 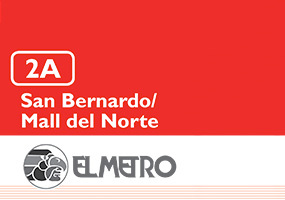 El Metro does not sell monthly or weekly passes. Please advise the bus operator at all times when trying to obtain a value card. 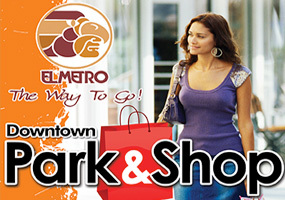 An El Metro ID can only be obtained at the Transit Center Information Booth, 1301 Farragut. Please make sure to take proper information to obtain your ID. For more information, call customer service at 956-795-2280. © 2019 El Metro Transit. All Rights Reserved.